This steamboat pot features center divider hot pot and electric cooktop base to cook two different soup flavors at the same time, such as spicy and non-spicy - most popular Chinese twin hot pot. 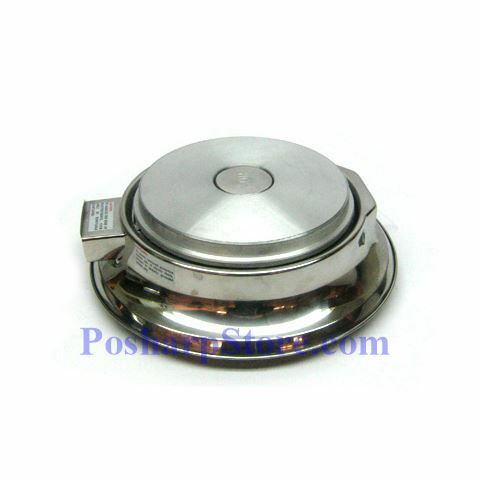 It is light weight, portable, easy for home, office, dorm, travel, or anywhere for a small fun party or family dinner. overheating protection with automatic turn-off dry heating. one year warranty for US and Canada. Chinese hot pot, less commonly Chinese fondue or steamboat, consists of a simmering metal pot of stock at the center of the dining table. Ingredients are placed into the pot and are cooked at the table during dining. Typical hot pot dishes include thinly sliced meat, seafood, vegetables, noodles, and almost everything you can name . The cooked food is usually eaten with a dipping sauce. 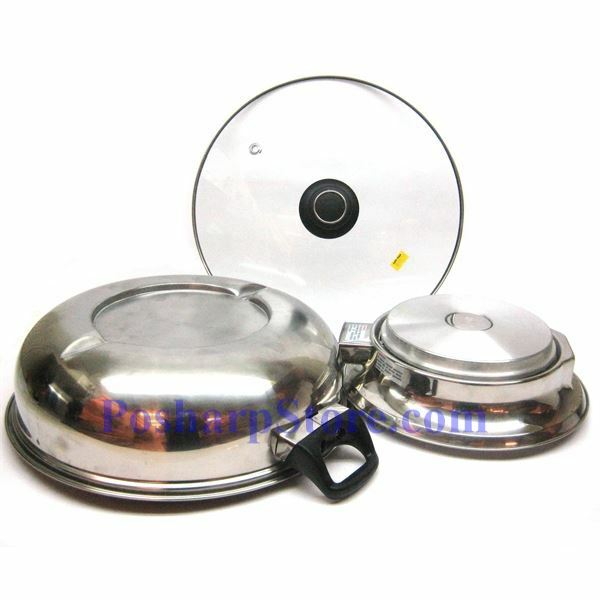 The hot pot simmering is kept by a portable butane gas stove or an induction cooktop, The stock pot can be any general stock pot or a specific stock pot which just serves for this purpose. Meat or vegetables are loaded individually into the hot cooking broth by chopsticks or table skimmers. Commerical stock pot in restaurant may be divided into multiple sections, while a simple twin stock pot with a center divider is usually sufficient for a home party - a hot chilli broth on one side, and a cool white broth on the other. 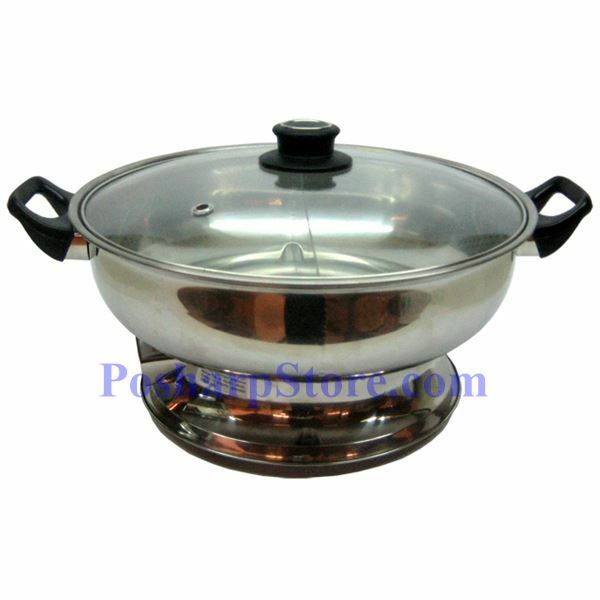 The hot cooking broth defines the styles or variations of hot pots. One of the most famous variations is the Chongqing numb and spicy hot pot, to which a special spice known as Sichuan peppercorns is added, creating a sensation on the tongue that is both spicy and burns and numbs slightly, almost like carbonated beverages. A Chongqing hotpot is markedly different in the type of soup base, the sauces and condiments.